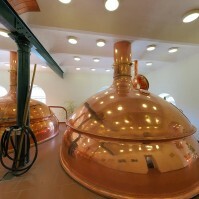 BERNARD " IN OUR OWN WAY "
On October 26, 1991 Stanislav Bernard, Josef Vávra and Rudolf Šmejkal launched the revival of a Humpolec brewery constructed in the 16th century. 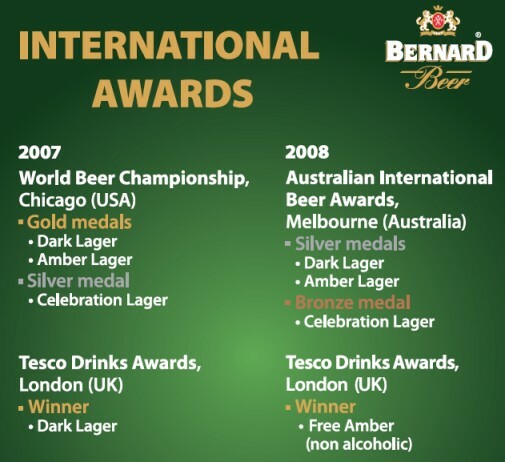 It did not take long and the Family Brewery in Humpolec and the Bernard beer brand became known throughout the Czech Republic, and are still striving for a position among the premier brands. We all know how many brands of beer there are in our country. To be different on the Czech beer market, we chose to produce traditional unpasteurised beer, brewed with craftsmanship and the best ingredients. Thanks to these traditional procedures, Bernard beer is distinguished by its harmony of fullness and bitterness. The first is the recipe, specific to the Bernard brand. The second is ingredients. High quality malt, produced in our own Bernard floor malt house in Rajhrad u Brna, where traditional production methods are maintained. Likewise, we use the highest quality Czech barley, which guarantees the correct bitterness. Furthermore, spring water from the Czech Moravian highlands has ideal characteristics for beer brewing. Lastly, there’s the unique procedure of the beer’s final treatment­ microfiltration, which makes Bernard a truly exceptional beer. The Family Brewery in Humpolec is still growing, and not only in terms of the success of its products. Since the year 2000 it has acted as a joint stock company and in July 2001 it increased its base capital with the entry of a strategic partner, Duvel Moortgat from the Belgian Kingdom.